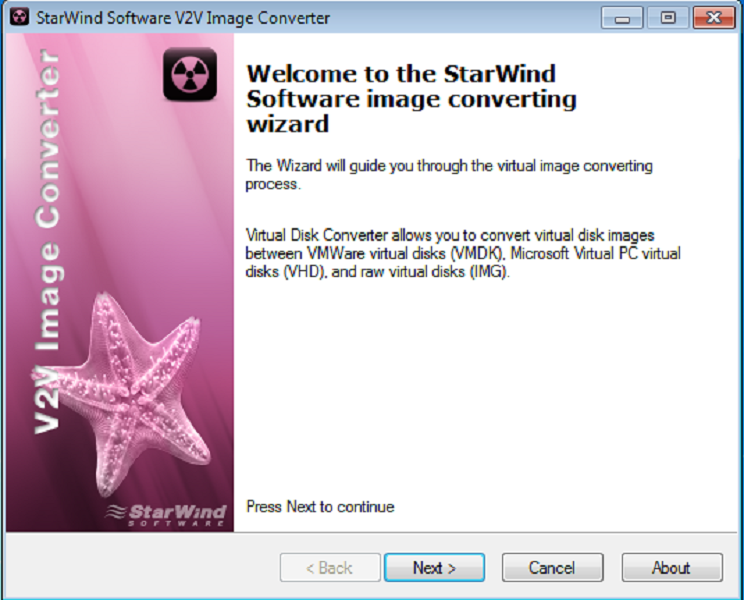 StarWind Converter is a free downloadable V2V conversion tool for virtual machines. 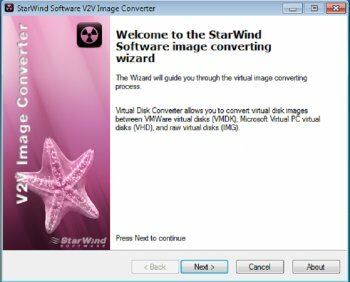 You can use it to convert VMDK to VHD files and VHD to VMDK as well as to IMG file, which is a native StarWind format. This is a very simple but useful file conversion tool that will convert virtual hard drive images from VMware's VMDK format into the Microsoft's VHD format. It is a sector by sector copy operation from one format to the other. It does not modify the source image and will leave it so you can continue to use it.